Because everybody goes crazy eventually. No matter what sorts of garbage life throws at you, you can always cast a sidelong glance towards literally anyone inhabiting the world of Bloodborne and say "Well at least I'm not that guy." 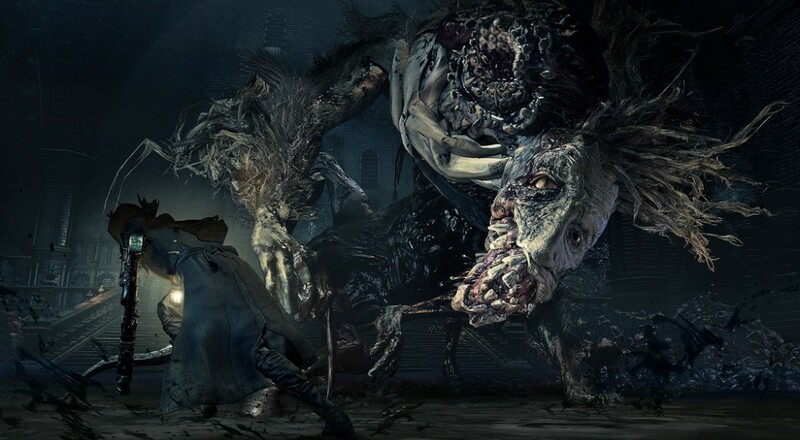 The Souls games have a tendency to be both terrifying and depressing, where even defeating a colossal demon offers little in the way of gratification since the damage has already been done and not even the sweet release of death can save you. This feeling is exemplified by the first DLC coming out for Bloodborne titled "the Old Hunters." Even the Hunters, the stalwart champions of the tragic world of Yharnam can't quite catch a break. Some are trapped in a terrible nightmare world forever, and its your job to go enter this hellacious space and slap them into submission. It's a thankless job, really, but somebody has to teach them not to go totally insane due to witnessing eldritch horrors. Get your spook on with the trailer. I guess one way to make a werewolfish nightmare creature more terrifying is to set it on fire. The expansion is set to debut November 24th for you and your phantom buddies at a cool $19.99, so get ready to delve back into the extremely hostile Victorian world of Bloodborne. If your hunter hasn't felled quite enough horrific monstrosities, now's the chance.